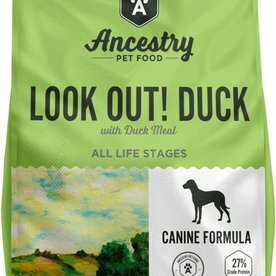 Ancestry is the dog food formerly know as Sammy Snacks. Originally started for a dog named Sammy in Charlottesville VA; this food has become more and more popular as its a truly healthy very rich in real ingredients dog food. 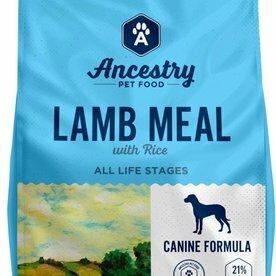 Renamed Ancestry Pet Food to remind us all that this is the stuff dogs/cats used to eat when they were roaming wild in packs. 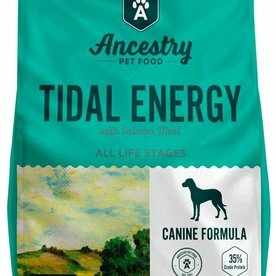 Highly nutritious and palatable, dogs/cats love it and their owners can feel confident that they are giving their pet a food they deserve. 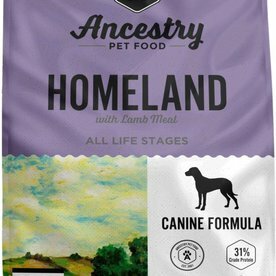 Ancestry is packed with energy, plenty of amino acids, and healthy fats to keep coats shiny and bodies full of vitality. Because its nutrient dense dogs feel fuller and eat less while looking great! 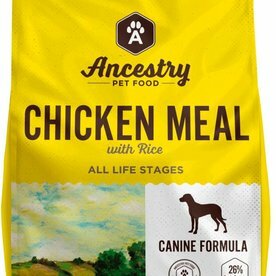 As dogs and cats seem to enjoy eating this food; Ancestry recommends rotating the proteins/formulas to keep your dog interested and to provide some variety in his diet especially as they are all easy to digest and keep the digestive system working at its peak. 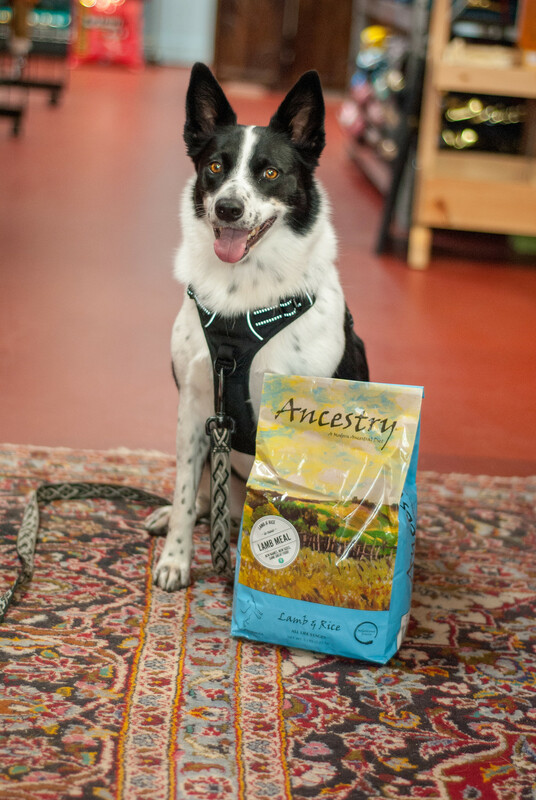 Dixie the Border Collie loves rotating flavors of Ancestry Pet Food! 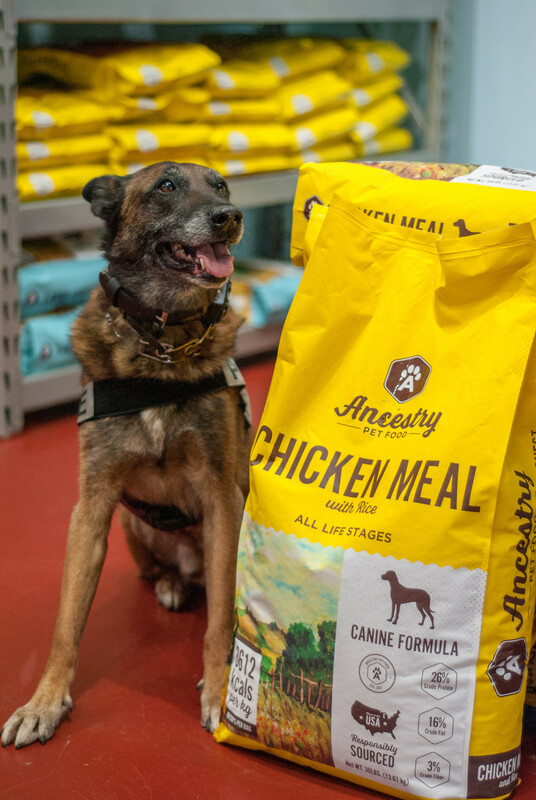 Leo the Police Dog loves the Chicken Meal & Rice he has been eating it for almost 12 years!